I may have found a replacement suitable for Mountain Dew...just maybe. I may try one thing that I could not possibly see being a perfect replacement, which is add carbonation. But this recipe is seriously so simple, there is no reason any of us should be buying soda for our families now. Who knew you could make tasty and flavorful drinks in a few minutes with little cost?! 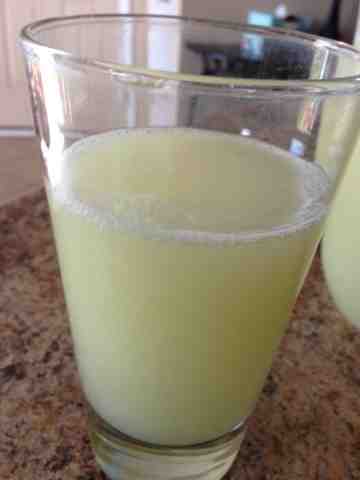 Making homemade limeade coats about 28 cents per 12 ounces. Buying a 24 pack of MD for $7 costs about 30 cents per can (12 ounces). But if you buy a bottle if it at a gas station then you are paying more for that small bottle than a whole 2 qt pitcher of homemade, which is common. 1. 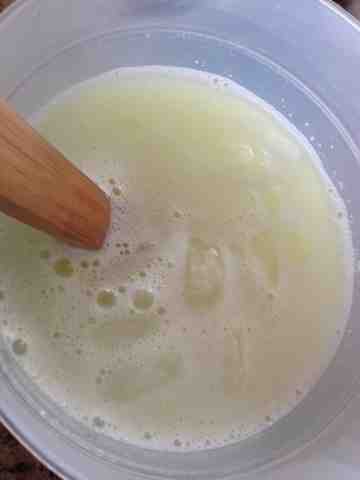 Blend the lemons and limes with water (to fill line). I used my nutribullet so I put them in whole. If you use a regular blender you may want to consider peeling both and then blending. 2. 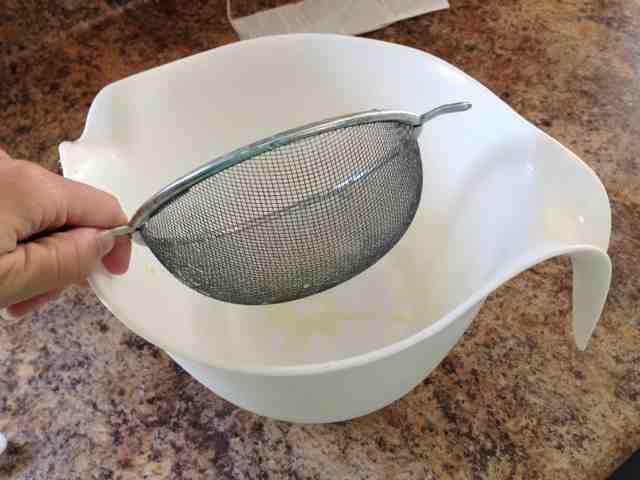 Strain through a small colander into a bowl so the pulp/skin isn't in the bowl. 3. 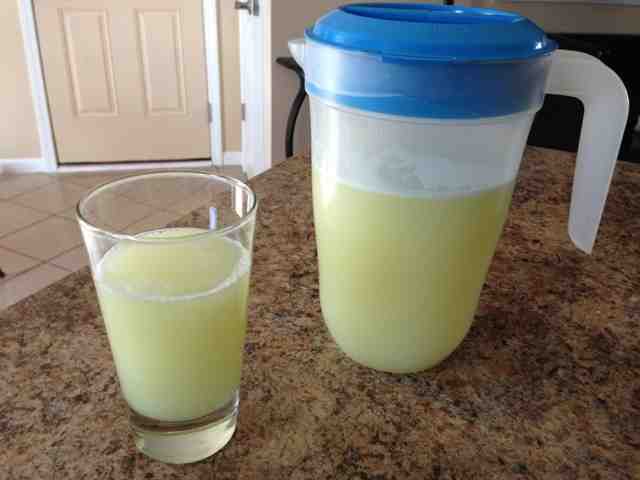 Pour in a pitcher and add 1 cup sugar. 4. 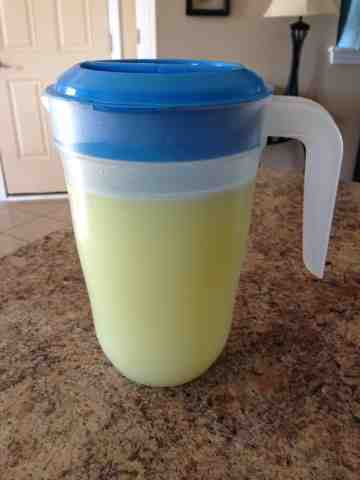 Stir and fill to 2 quarts or 64 oz on your pitcher.